4 CDs. 4:33 hrs. Listening Library. Oct. 2017. $38. ISBN 9781524782344. digital download. Gr 9 Up—Justyce McAllister seemed to have it all—Ivy League aspirations, near the top of his class academically at a top-notch boarding school, captain of the debate team—until he is arrested while helping a friend. Feeling that he was racially profiled, he begins a journal of letters to Dr. Martin Luther King and asks himself, "What would Martin do?" when situations arise. And situations do arise, when white classmates make racist comments and dress in KKK robes for Halloween. In class, difficult subjects are discussed, such as the reality of racial equality and the effectiveness of affirmative action. Meanwhile, Jus reluctantly finds himself attracted to his white debate partner, knowing that his mother will disapprove. When tragedy strikes, Jus is forced to take a long look at himself and the life he is leading. Jus's first-person letters to King are interwoven with his third-person experiences. Dion Graham narrates, turning in a performance that is believable and convincing. Often he is soft-spoken, reflecting Jus's quiet nature, but as Jus's anger builds, Graham's narration reveals that as well. 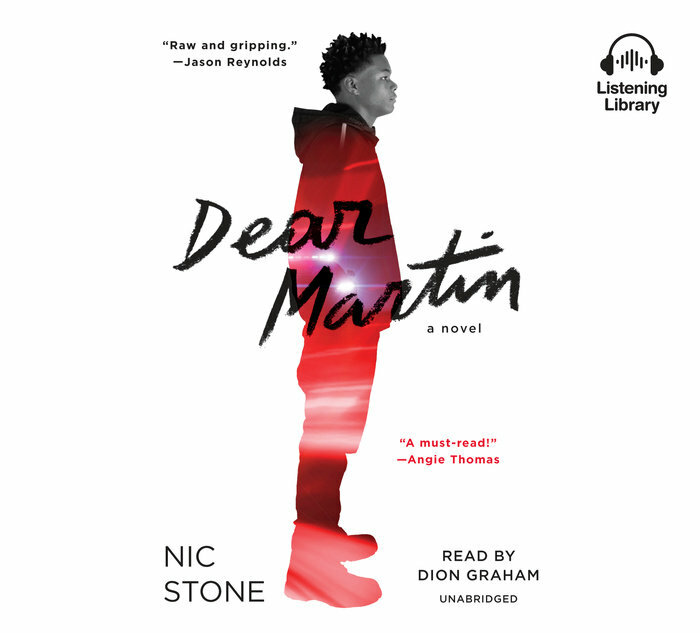 VERDICT With appeal to both reluctant readers and avid listeners, this thought-provoking audiobook deserves a place in any audio collection alongside The Hate U Give.